Additional Course Dates to follow! 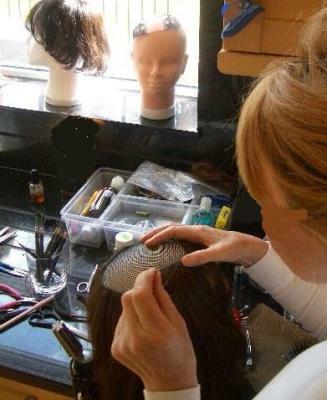 What Learning at the UK Wig School can do for You! 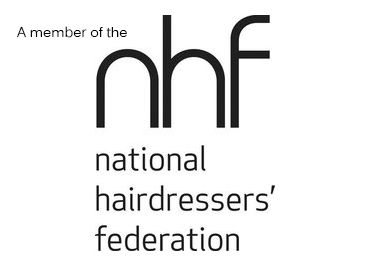 Do you want to work in the fastest, most rewarding, growing sector of the hair industry which generates over £25 Billion yearly? Yes! 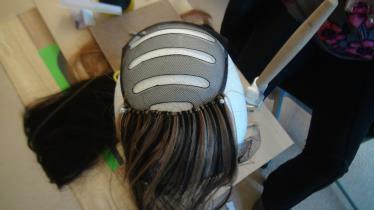 Start producing YOUR OWN BRAND of highest quality Lace Wigs & Hair replacement systems in UK. Become independent and cut out the middle man! -Do you have a family and want to work from home creating your own high quality lace wigs & hair replacement systems using Mono, PU or Lace? Or even better using 2 or 3 materials within the same foundation? 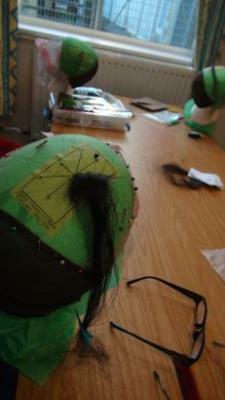 ->Do you want to design and make your own Lace Wig collection or Hair Replacement systems? Or perhaps you would rather design the pieces and have them produced overseas while you continue taking orders for new clients? 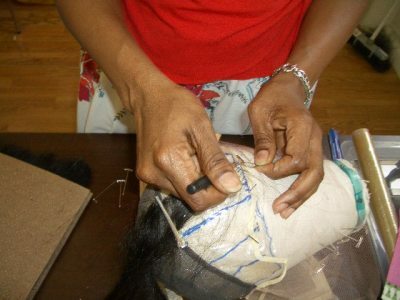 ->Do you want to learn how to create bespoke custom Lace Wigs and use your skill to help people that need hair replacement systems for medical reasons or other conditions. 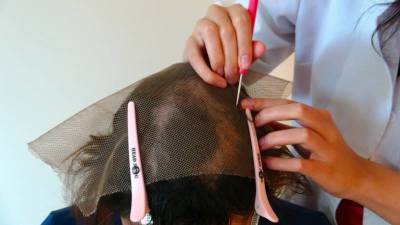 ->Do you want to repair and maintain Wigs, Toupees & Sheitels? ->Do you want to build a reputation and a famous brand name within the hair replacement world?? ->Do you want to start your own business and make thousands from the first few months while enjoying the most soul rewarding job in the hair industry by providing; the finest lace, your own hair systems creations, and gaining priceless knowledge day by day with your own new clients?? 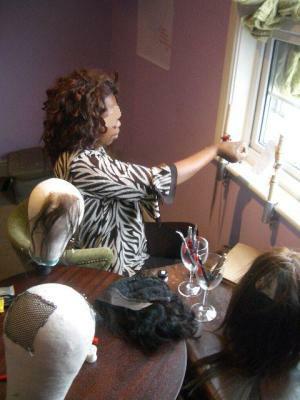 ->Do you want to learn from an official Master Wigmaker with over 25 years of experience in wigmaking? 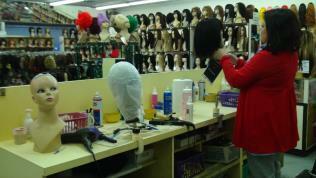 Then the UK Wig School is the place for you!! 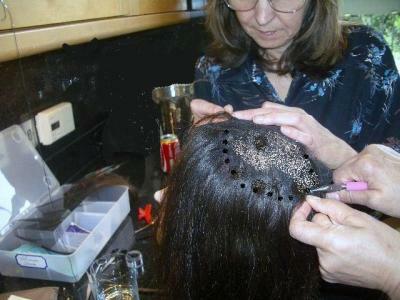 Established in 1998 the UK Wig School is the first establishment of its kind in the UK. 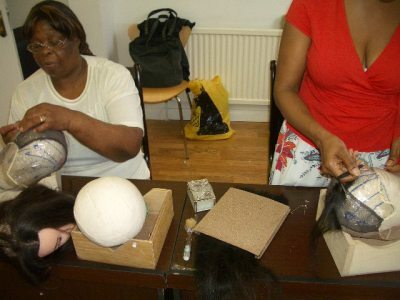 Through its excellent reputation and formidable syllabus created exclusively by the Tutor, Miss Rosa, the UK Wig School has been the stepping stone for Wigmakers and Hair Replacement specialists all over the world! The UK Wig School has been endorsed as a teaching organisation by; The Princes Trust, The Queen Elizabeth Scholarship Trust, The Tampereen Theatre, Finnish Cultural Foundation, Belfast Ashton Trust as well as providing tuition for existing teachers from colleges around the UK including, Lambeth College, Cornell College, Guildford College, to name a few. Our syllabus and training is the most extensive in the world, thanks to our efficient learning system and hands on practical assessments. There is no price on knowledge! Invest in your future at the most reputable and long-standing Wig School in the UK. Please feel free to compare us with others before you enroll with us! 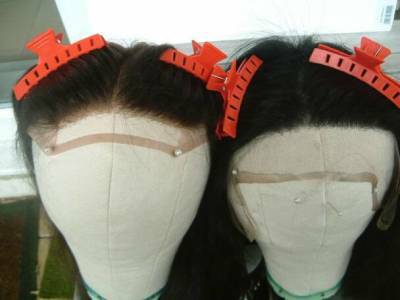 In essence a wigmaker would have the edge on a Posticheur and a Board-worker because they would be highly qualified and experienced in all aspects of wigmaking. A wigmaker should have theoretical and practical knowledge of all aspects of false hair which should include: completing order forms, measuring patients/taking casts and moulds, be proficient in costing, designing and fittings, be capable of cleaning and maintenance." 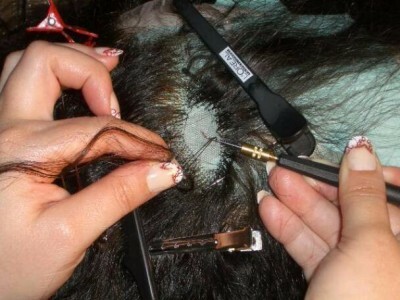 FACT: 99% of Lace Wig sellers and providers don't have enough product knowledge on the items they are selling you! They purely act as the "middle man", they will often sell you the wrong products or products that you don't need. 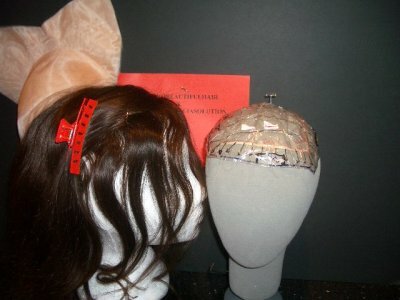 Many wig wearers, after years and years of trial and error, pouring money down the drain, are now looking for real professional wigmakers they can trust to make unique custom fitted wigs for them. 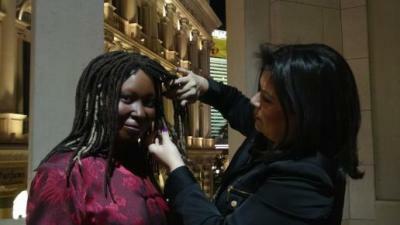 Become one of those wigmakers and offer your clients the best! 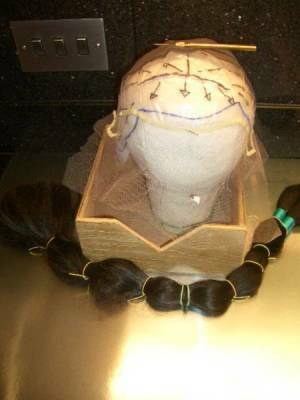 The UK Wig School is the sister company of Tricho Alopecia Solutions; who provide clients the finest European, Indian and Brazilian hair, Lace wigs, Hair replacement systems, and wig making products at FACTORY PRICES. 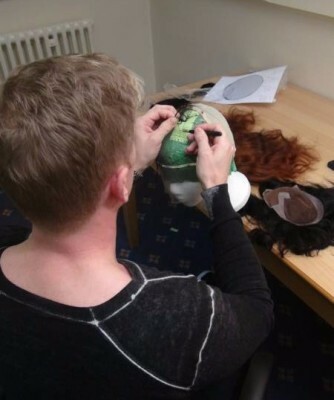 Due to demand and request, the UK Wig School was created in 1998 in order to offer courses on how to create the magnificent pieces offered at Tricho Alopecia Solutions! With Volumizers and Hair Replacement Systems become more and more popular in society, now is the time for you to invest in your future and become a wigmaker today! The UK Wig School offers Group courses at the University of London, and Chris & Sons (the largest hair and beauty warehouse in Europe), as well as private courses for any students who cannot attend on the specified dates of our courses! These courses will be scheduled around the best available dates for both the student and the Tutor. Email us at [email protected] for full details and information letters on our course. Or alternatively call us at: 0207-0994821 for a quick chat which we will follow up with an information email. 32 Exciting hours of fun and knowledge and a full year of support after the course ends!!! No course in the world offers you so much information at this price ! check and compare before you enroll with us. Most students of the UK Wig School enroll in further classes 2 years after they first enroll to build on the successes they have achieved after leaving!